Visit the stunning farm location at Mangaotaki Rocks Piopio, near Waitomo, where the troll and campfire scenes in The Hobbit: An Unexpected Journey were filmed. 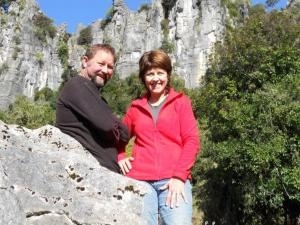 Towering limestone cliffs, massive rock formations and a primeval forest on the Denize family farm became the location for Staddle Farm and Trollshaws... and the home of "Sting"! * Have your photo taken standing in the exact spot where Bilbo received his magical sword, "Sting", from Gandalf. 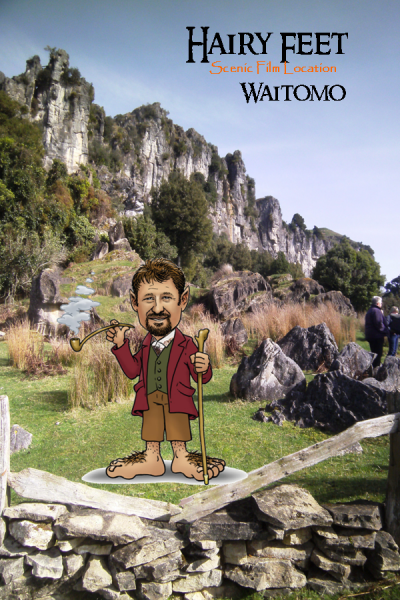 Hairy Feet Waitomo is just 45 minutes from the famous Waitomo Caves.